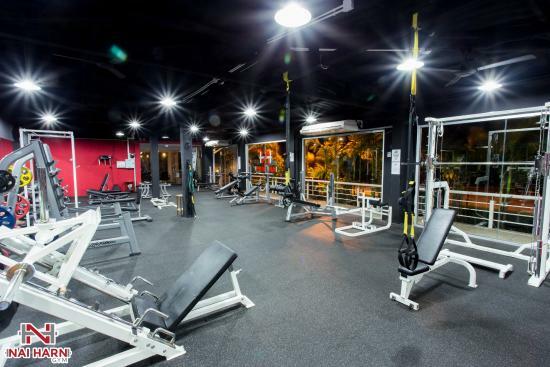 Nai Harn Gym Phuket - "Hands down the best weights gym in Phuket""
Nai Harn Gym is one of the most popular gyms in Phuket, especially south side of the Island. 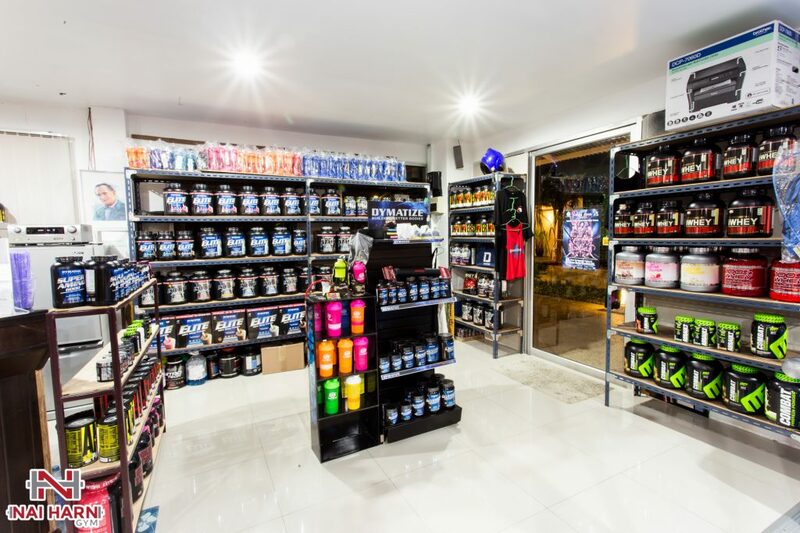 Since its opening on October 31st 2008, it has expanded its grounds 4 times, becoming one of the largest single floor gyms Phuket has to offer. The Equipment is top of the range and is always being upgraded and adding new pieces of equipment or machines every year. The Facility is fulling Air Conditioned with synchronized music in both sections of the gym. 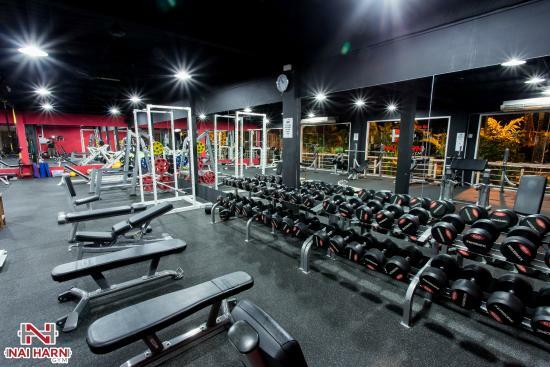 One of the main features of Nai Harn Gym is the range of Freelance Personal Trainers that work there. A lot of other gyms only allow in house trainers, mostly Thai locals, whose English is limited and their understanding of Personal Training is of a different standard to western Personal Training. 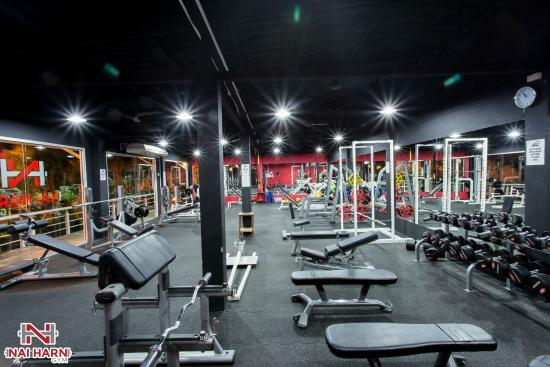 All the Personal Trainers that work within Nai Harn Gym are listed inside the gym its self, each one being a specialist in their own way of training. From Body Building Trainers to Correctional Rehabilitation Trainers. Whichever you need, there is a trainer there for you. You can go to Nai Harn Gym for a 1 day Free Pass to get a feel for the gym and have a good training session on the house before you commit. Nai Harn Gym also has the cheapest annual membership rate on the island of Phuket. Just 9,999THB and each year a special offer is launched “Buy one get one Free” annual Membership so 2 people can buy a 1-year membership for 9,999 THB equalling to only 416THB a month each. You can be on the lookout for that offer on the Facebook Page. 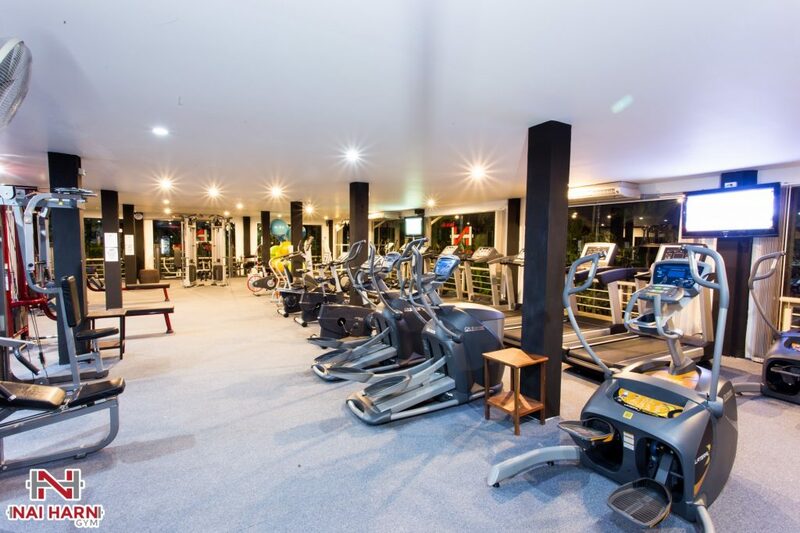 Below are some photos of Nai Harn Gym, It has one single floor divided into 2 room, one very big open room with brand new and top of the range cardio machines as well as some very cool machine weights and 2 very smooth cable pull systems. Nai Harn Gym location on google maps, they have plenty of space for car parking and bike parking – The Gym is located behind Davinci’s Restaurant very easy to see. 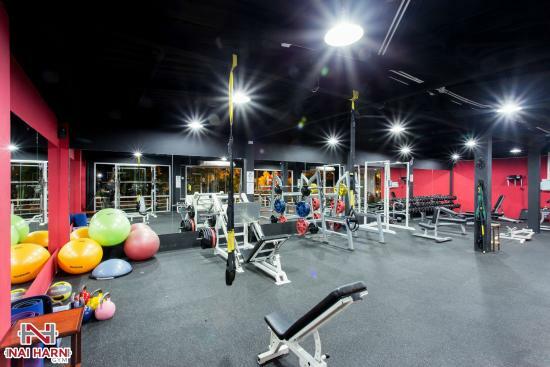 How To Rate Nai Harn Gym? You can vote for Nai Harn Gym on its different categories – Just click on the stars to rate it each one. Below will be the average rating generated not just by your votes, but by everyone else as well. Feel free to leave a comment and share your experience training the gym. Give them feed back and advice for their new clients.